The Mosquito Project was an initiative the students of Dr. Vavra’s took in order to survey and log the mosquito population of San Diego. The project was designed to help train students the basics of working in a laboratory setting, as well as to expose them to a real-world problem that they will need to combat. Mosquitos are one of the most devastating insects in the world. Each year, many people are killed due to the fact that some species of mosquito can carry deadly viruses and parasites. Some species, like Anopheles, are the main cause of Malaria infection around the world because they can carry the disease from humans and animals infected with it to other victims. This project aims to introduce the issues caused by mosquitos in a local setting, all the while making the students more environmentally conscious. For the beginning of this project, our class needed to know about the significance of mosquitos and how they impact different places in the world. In order to do this, students in class paired up to create powerpoint presentations about different topics regarding mosquitos. Some groups presented on mosquito – borne diseases, others on the mosquito life cycle, and more still on predators and the food chain in relation to mosquitos. Below are links to a few of these powerpoints. After learning about the significance of this project, the obvious next step was to obtain specimens to DNA barcode. A few students went off hunting these specimens out in nature. The fact that all of the samples were taken locally also added to the need for a solution to the problems caused by mosquitos. After each group had their isolated DNA, it was time to test it. 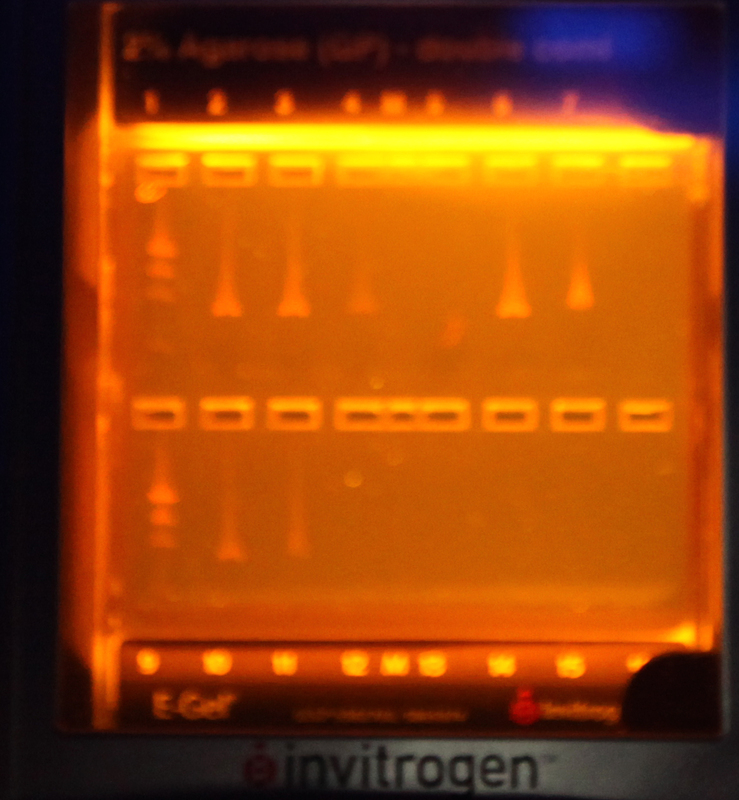 2 uL of the PCR product was pipetted out of our solution, and was then multiplied in the PCR machine to get (50uL)? of the solution. Each group took their additional 50uL of DNA and loaded it in the gel used for electrophoresis . 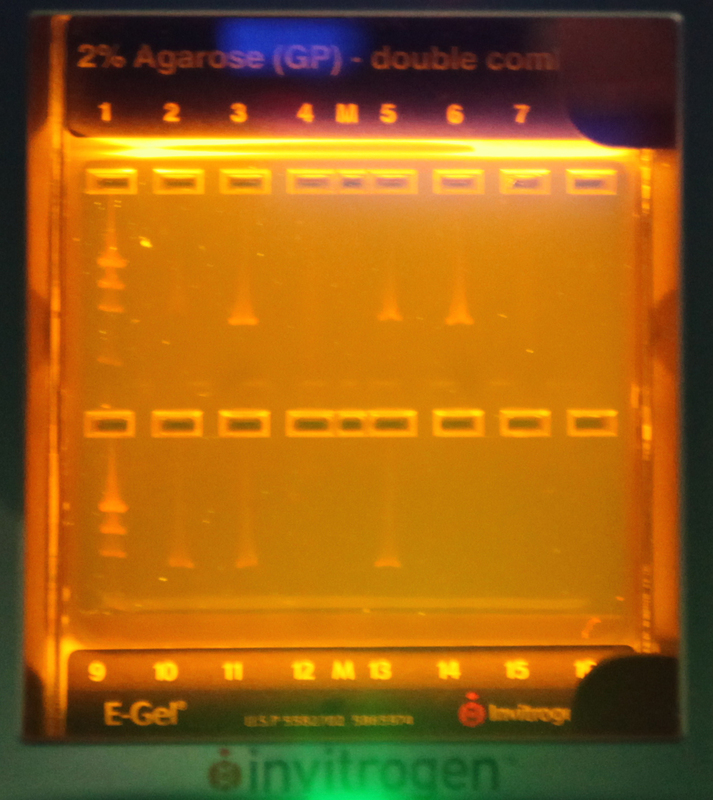 After shipping off our PCR product to a laboratory at the United States Geological Survey (USGS), our class got the results we had been waiting for. The sequences we recieved were inputted into NCBI’s nucleutide database, which showed us the closest match of our DNA. Almost every group matched their species with 99 or 100% accuracy, more successful than ever before in Dr. Vavra’s class. Each group was required to create two ‘cards’ for their mosquitos. These cards contain the name and type of mosquito, where it was found, and the DNA sequence inputted into the NCBI nucleutide database. They are the final product of this project and are posted physically in Dr. Vavra’s classroom. Below are links to some of these example cards in ppt format. They are sorted by group name.